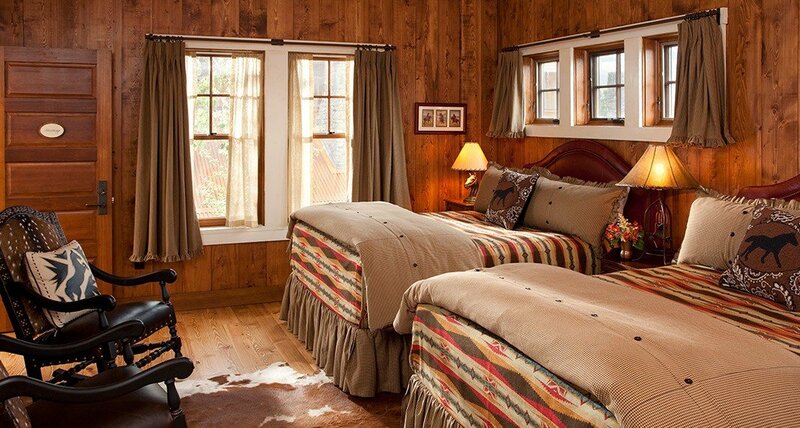 The Granite Lodge’s nine ranch accommodations weave luxury, style and authenticity into your Montana adventure. 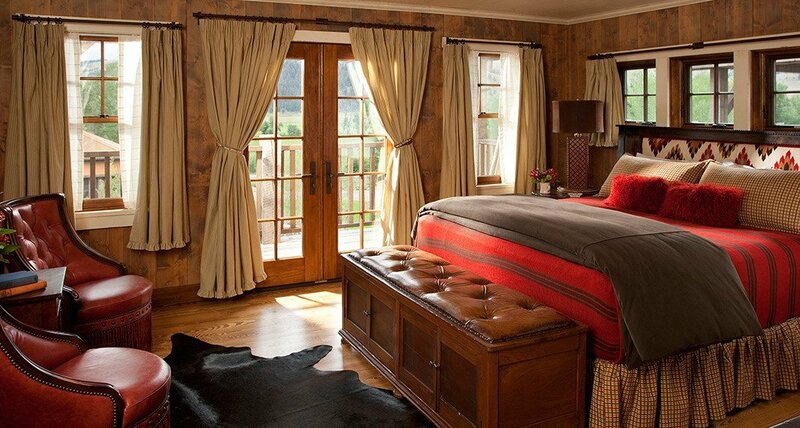 Appointed with custom-made furniture, woven textiles, frontier antiques and lavish linens, our Granite Lodge rooms find design inspiration in iconic western themes, such as the great turn of the century railroad hotels and the classic guns that helped win the West. 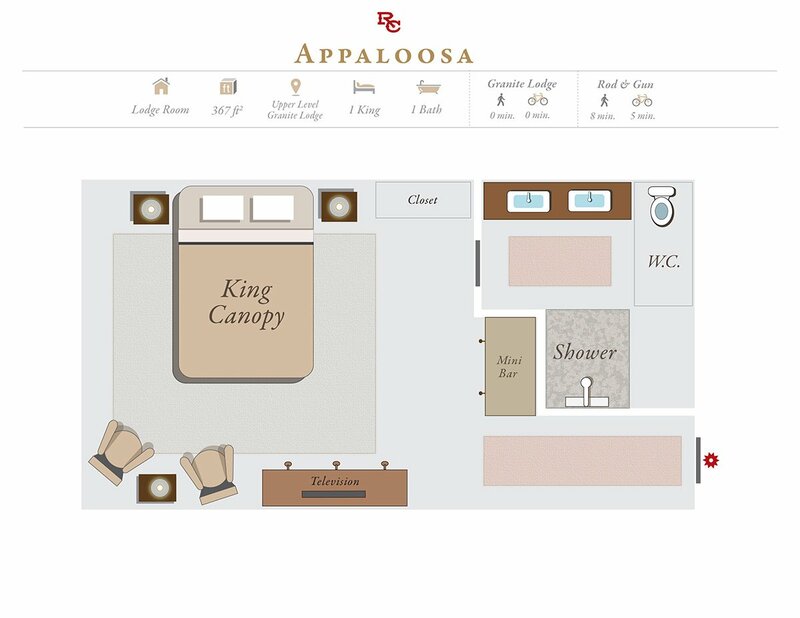 No two rooms are alike, although most upper-level rooms offer views of the Rock Creek valley. 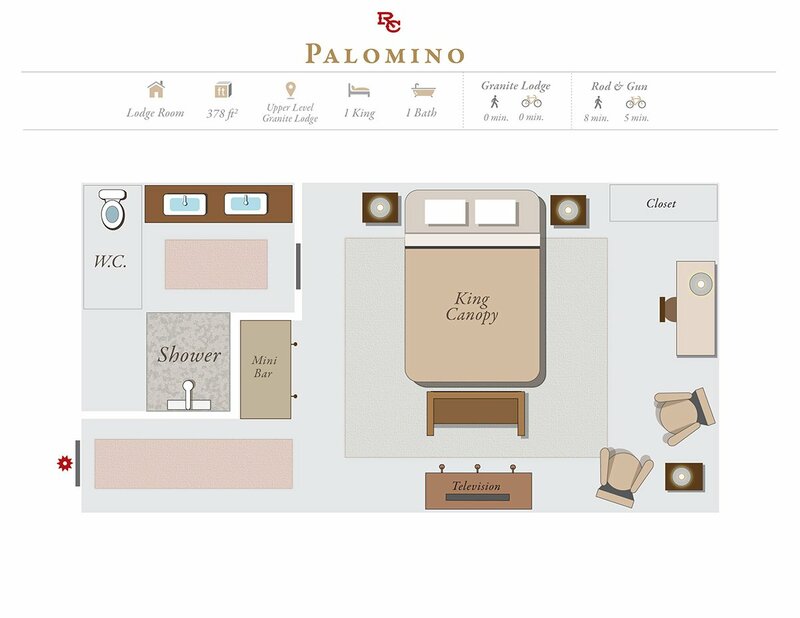 Some rooms may be combined to form a two-bedroom family suite that includes twin beds and pull-outs. 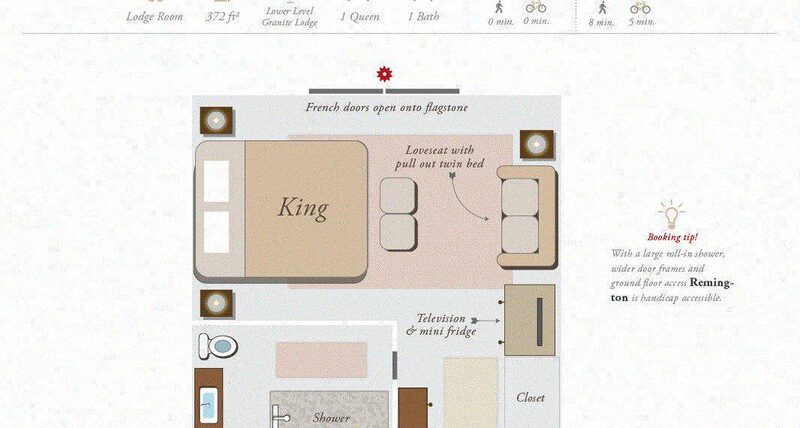 Nine rooms range in size from 315 to 397 sq. ft.
Two rooms are located on the first floor. Seven rooms are located on the second floor. Remington, located on the first floor, is ADA compliant. 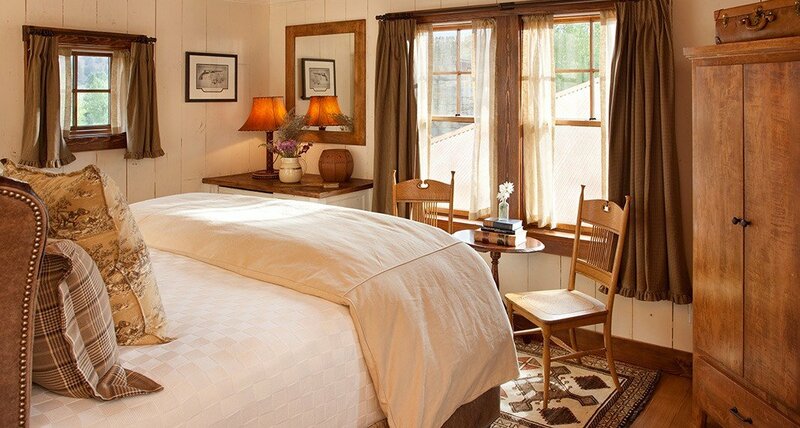 Each accommodation is equipped with personal cruisers or mountain bikes for on-Ranch transportation. View on the Ranch map. 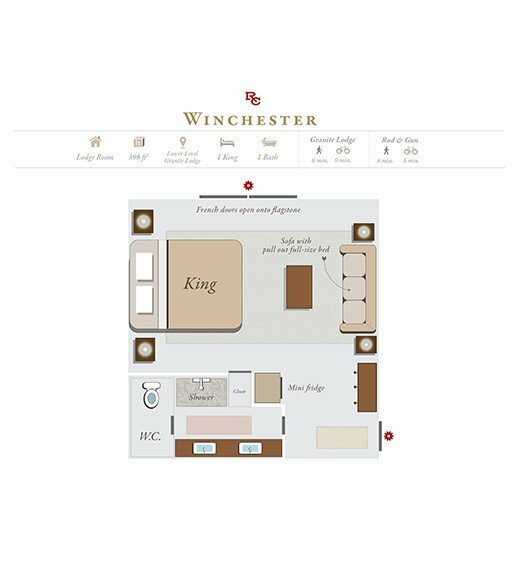 Winchester features a king bed as well as a full-size pull-out love seat, thus accommodating up to three guests comfortably. 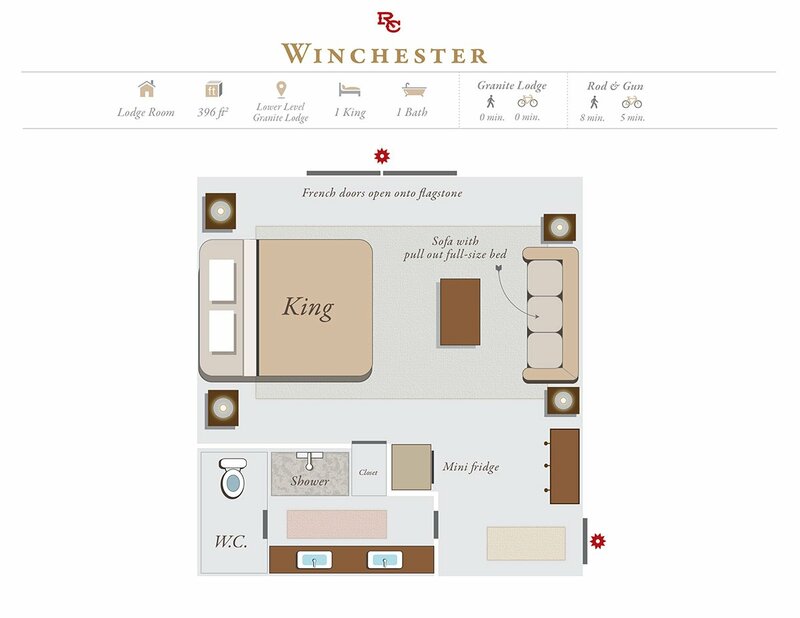 Located on the lower level, Winchester also has high ceilings and private access from the courtyard. 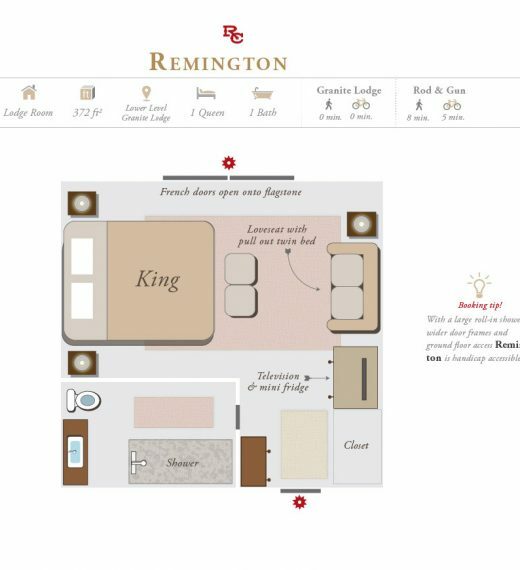 Remington has a king bed with a twin pull-out sofa. 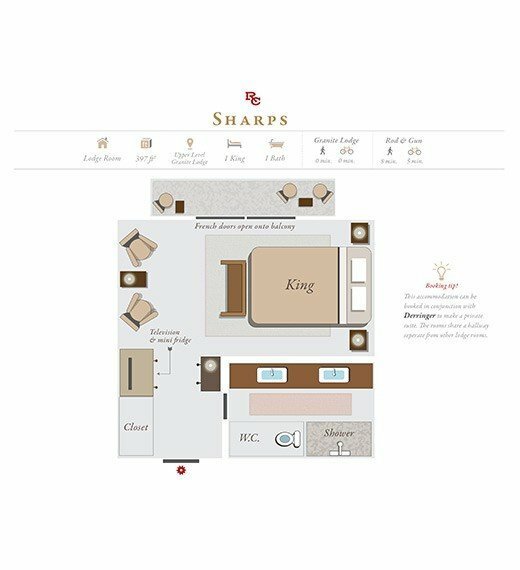 This lower-level accommodation is ADA-compliant and enhanced with high ceilings and private access from the courtyard. 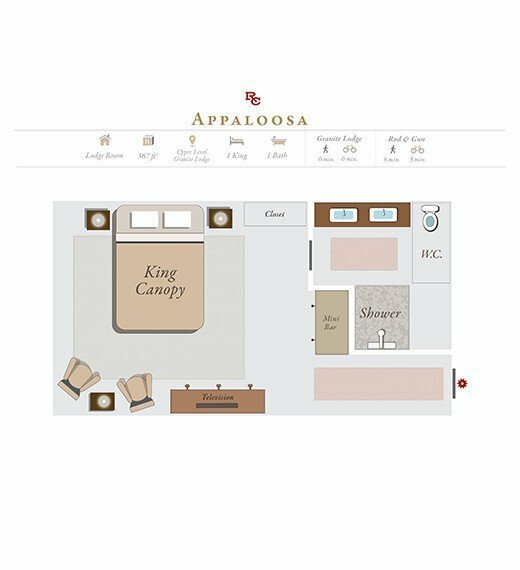 Appaloosa offers a king canopy bed. An upper-level vantage point frames sunset views behind the Granite Lodge. 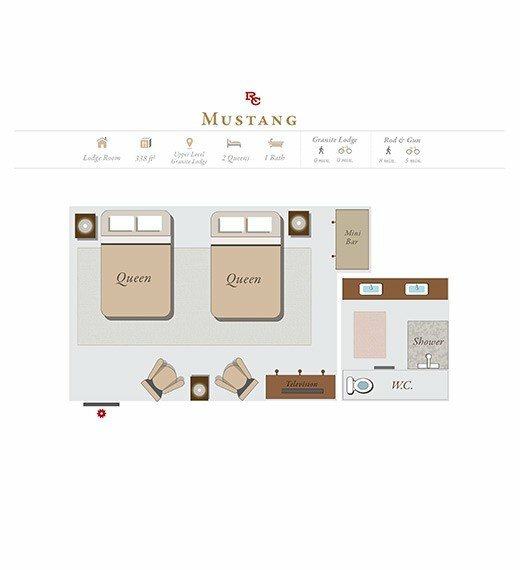 Mustang is the only room in the Granite Lodge that features two queen beds. 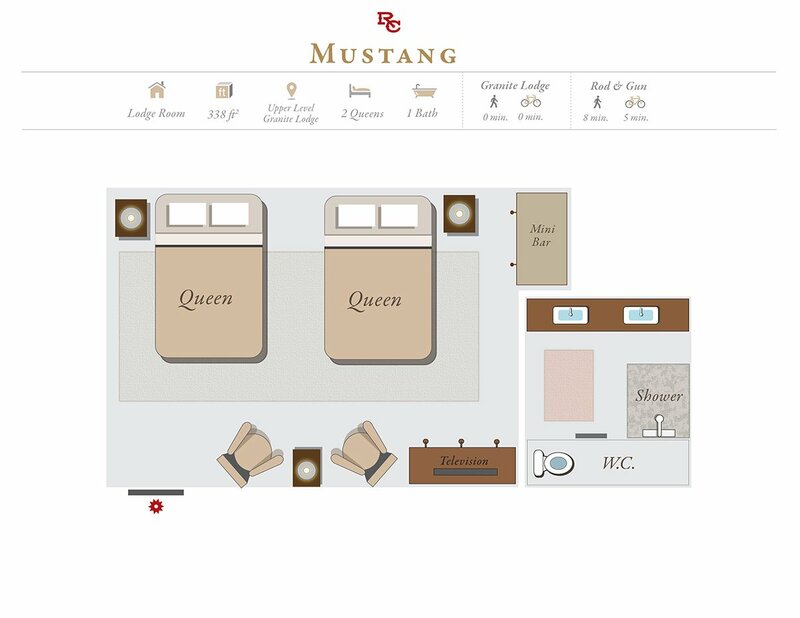 Located on the upper level across from Palomino, Mustang’s windows point Northwest toward Rock Creek. 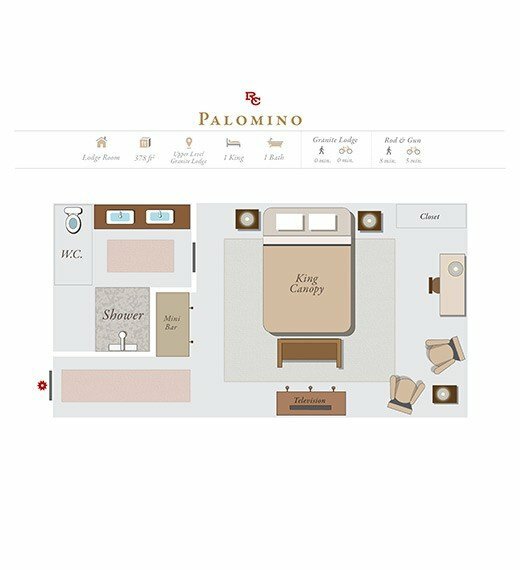 Palomino is appointed with a king canopy bed and is located across from Mustang. 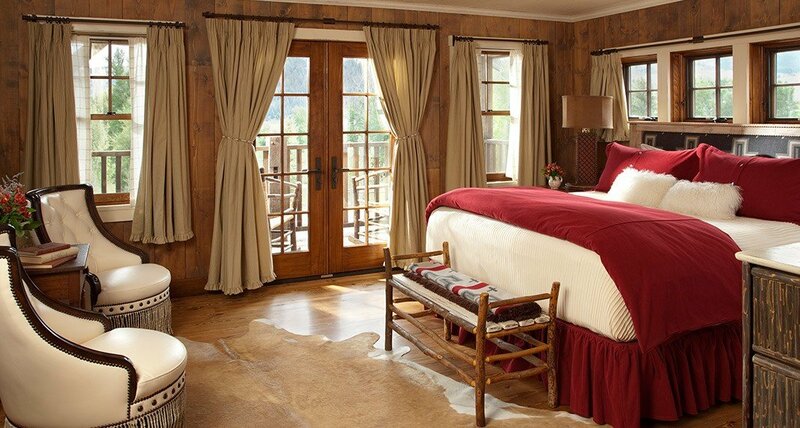 Enjoy views of the Southeast portion of The Ranch from the upper level of this unique lodge. 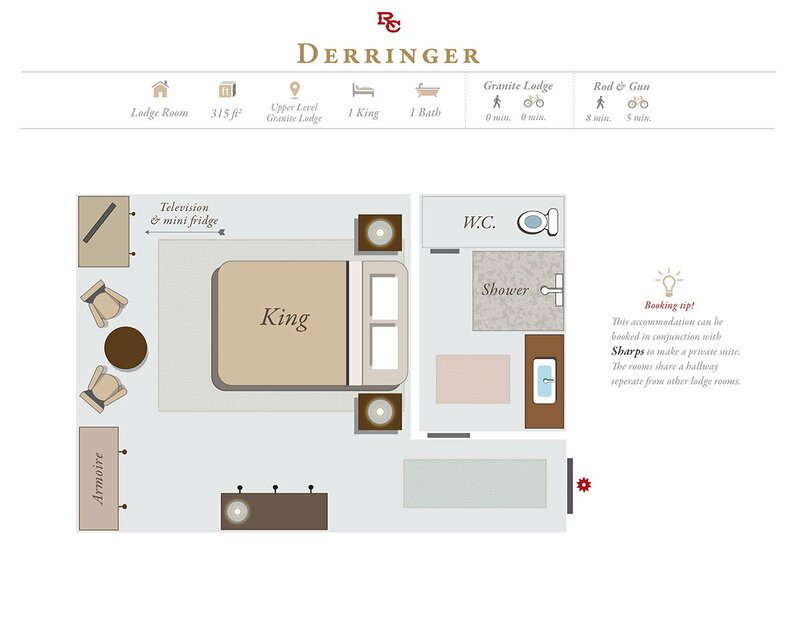 Derringer is situated in the corner of the upper level. 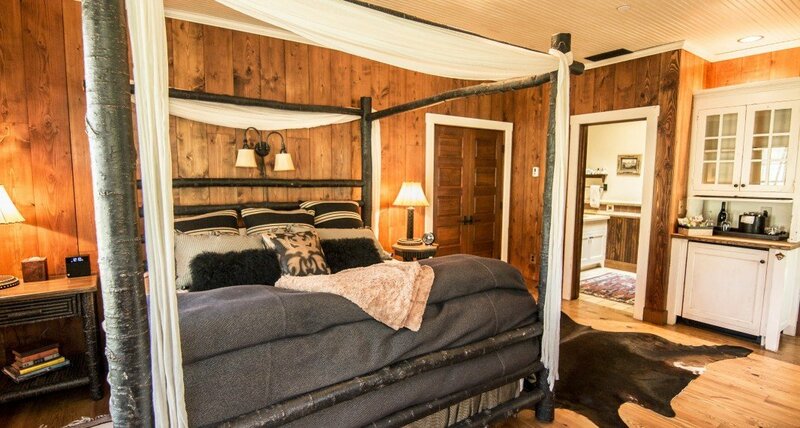 It features a king bed and views of the Rock Creek valley. 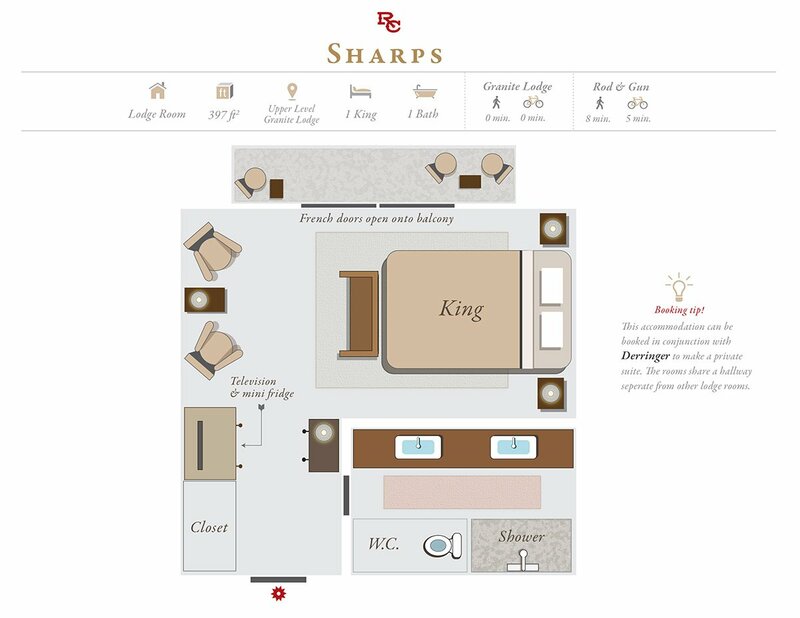 Derringer may be combined with Sharps to form a two-bedroom family suite. 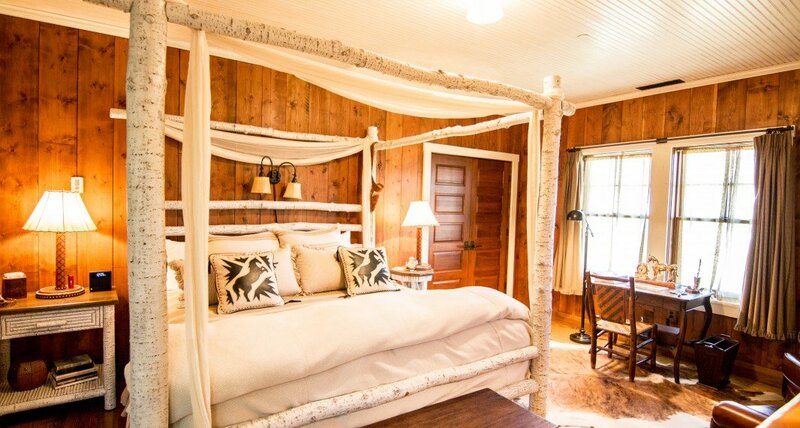 Sharps has a king bed and a private balcony overlooking the courtyard of the Granite Lodge and the Rock Creek grasslands. 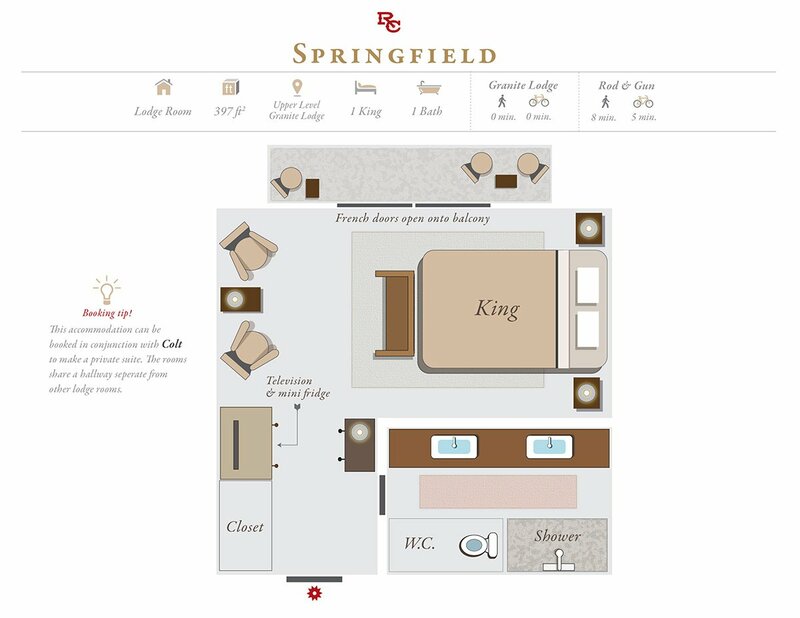 The room can be combined with Derringer to form a two-bedroom family suite. 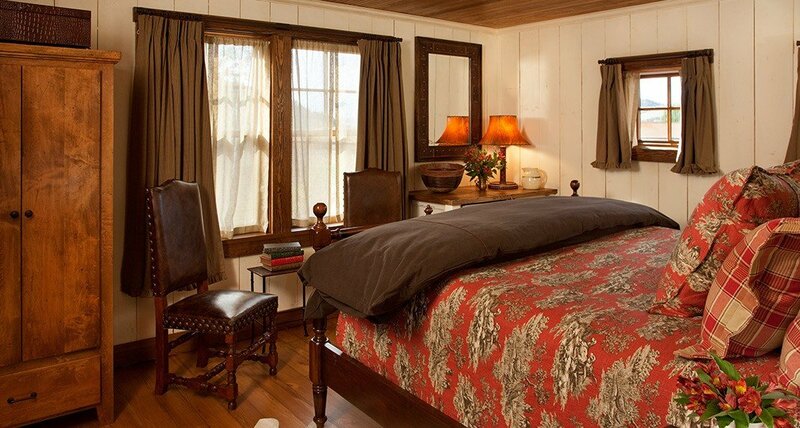 Springfield offers a king bed with a private balcony over the courtyard of the Granite Lodge. 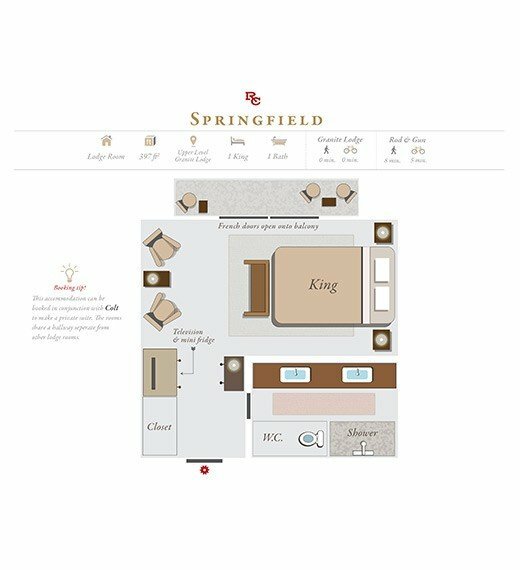 Springfield and Colt can be combined to form a two-bedroom family suite. 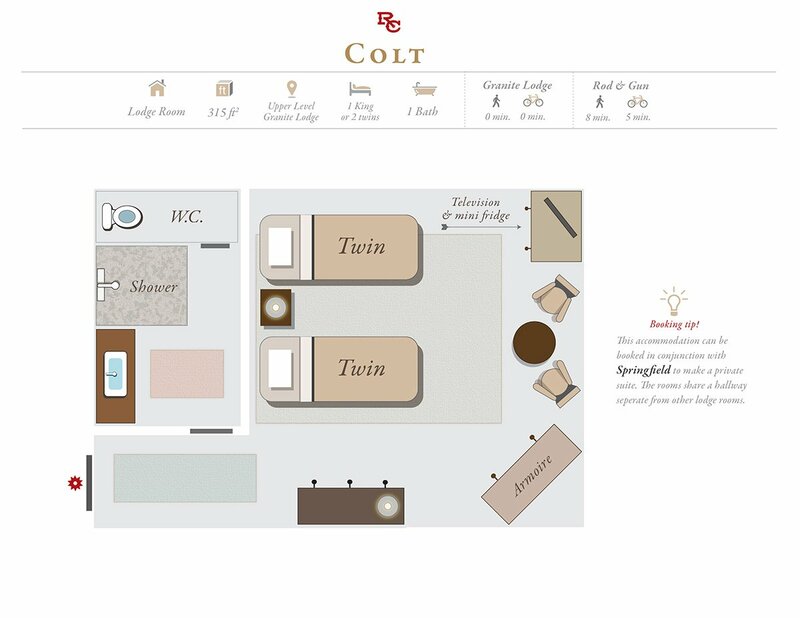 Colt features either a king bed or two twin beds in the corner of the upper level. 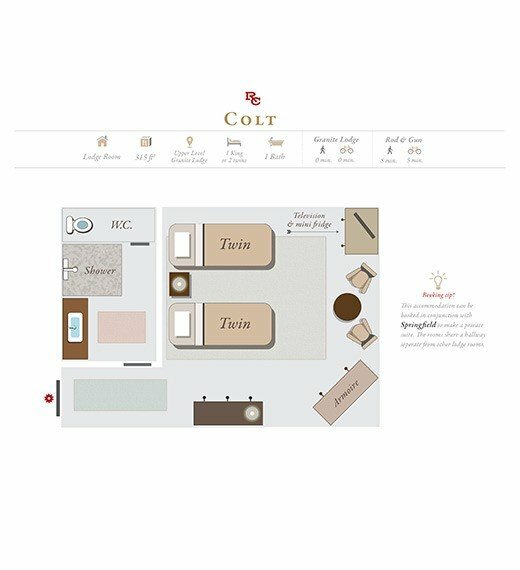 Colt may be combined with Springfield to form a two-bedroom family suite.